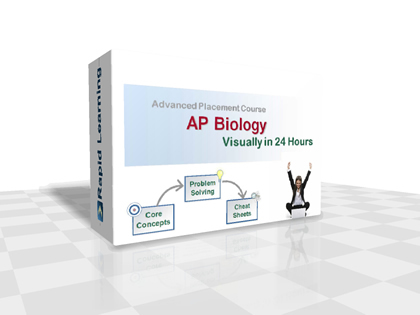 Course Desciption: This AP Biology course offers in-depth coverage on biology at the molecular, cellular level and organ level. Tips and strateigies are also presented for AP coursework and AP exam prep. For chapter-by-chapter contents of this course, see the AP Biology 2017-18 Course Guidebook (64-page eBook). For Whom: This rapid learning course is for those who are currently enrolled in AP Biology at high school, and/or anyone planning on taking the AP Biology exam.